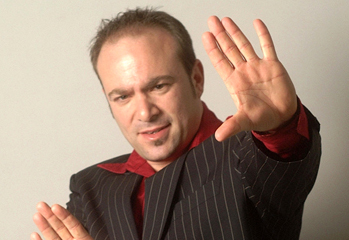 Magician, Comedian and Hypnotist Peter Gross is one of the East Coast's most-trusted entertainers, specializing in stage performances and corporate events. Hire him and you will see the difference. Available for travel anywhere in the USA, Peter's has delivered laughter and recommendations from groups like McDonalds, Intel, Microsoft, Anhueser-Busch, Prudential Bache and General Dynamics. "Peter was AMAZING! We were totally blown away." Got Questions or want to Book a Show? 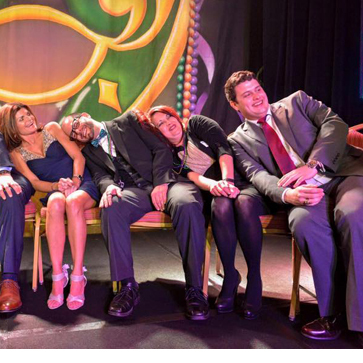 Magician, mind reader and comedian Peter Gross brings laughs and memorable magic to sales meetings, team building events, wellness programs and appreciation dinners. He can act as your host for awards presentations or sales campaign rollouts and he can customize his show for your themes and messages. Peter even has shows for smaller, select groups at cocktail parties or C-suite get togethers. Why are Peter’s shows DIFFERENT than so many other entertainers? Peter has a background in comedy and improvisation. 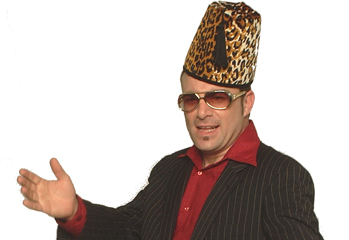 He’s a funny guy who also knows some really cool tricks, so at his shows, laughs are guaranteed. 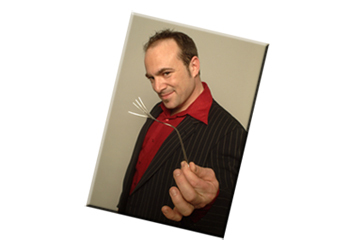 Peter’s magic and mentalism shows feature plenty of audience participation, spontaneity and memorable moments. Every show is unique. Whether Peter’s working at a comedy club, a board room or a hotel ballroom, his show is in ‘perfect pitch’ with his audience. Event Planners & Meeting Planners, Are you looking to book a magician today? Contact Peter to see how he can create a customized event that fits your themes, timing and budget. Consider hiring Peter for meetings, company outings, off-sites. 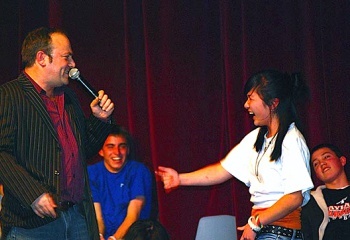 "I would recommend Peter for any time of year and any audience on any campus; his show is that much fun." "Seeing our friends driving invisible cars, sitting on the beach, forgetting their own names... it was all amazing!" 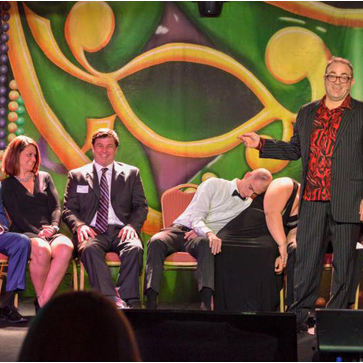 "Peter smoothly combines his expertise as a hypnotist with his skill as a comedian...He has the whole group laughing right away. It's so amazing, it's one of the best shows we've ever had."